Enjoy a lifestyle of maximum comfort, minimal maintenance and utmost convenience in this immaculately presented two bedroom villa. Providing a superb start for market newcomers, an easycare home for downsizers or a smart choice for savvy investors, its New Lambton address offers easy access to a wide range of lifestyle essentials including major shopping precincts, lively cafes, the famed Fernleigh track and city transport. Solid, secure and ready to enjoy, its single level floorplan features an open plan living zone with kitchen connection and generously sized outdoor space where you can relax or entertain alfresco in total privacy. 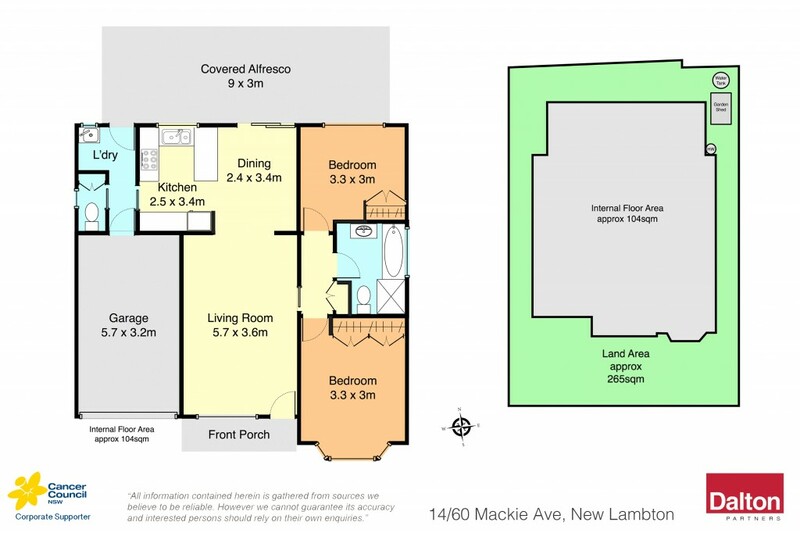 * Centrally located in a highly sought-after pocket of New Lambton. * Well-presented interiors dressed in contemporary tones. * Modern kitchen with electric cooking and plentiful cupboard space. * Quietly placed bedrooms fitted with generous built-in wardrobes. * Modern bathroom; separate laundry; split-system air-conditioning. * Secure single garage; low maintenance surrounds; useful garden shed. * Easy access to everyday essentials, shopping centers and trendy cafes. Council Rates: $1177 PA approx. Water Rates: $507 +Usage PA approx. Strata Levies: $2,180 PA approx. Rent Potential: $380 - $420 PW approx.